Our June catalog of the best new fiction includes new releases from Stephen King, Garth Nix, Mark Lawrence, John R. Fultz, Terry Brooks, Jon Sprunk, and others, as well as some spiffy reprints from James Blaylock, Tanith Lee, Lev Grossman, Michael Moorcock, and others. But time’s a-wasting; let’s get started! 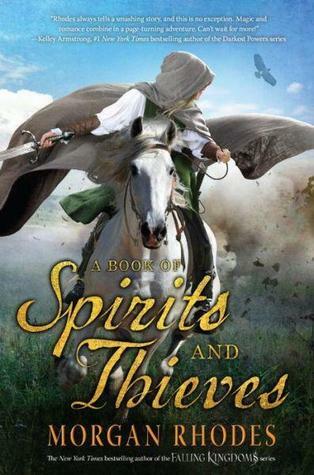 First up we have A Book of Spirits and Thieves, the first installment of a new series from Morgan Rhodes, the New York Times bestselling author of the Falling Kingdoms books. Spirits and Thieves is a high-fantasy which alternates between modern Toronto and the ancient kingdoms of Mytica. 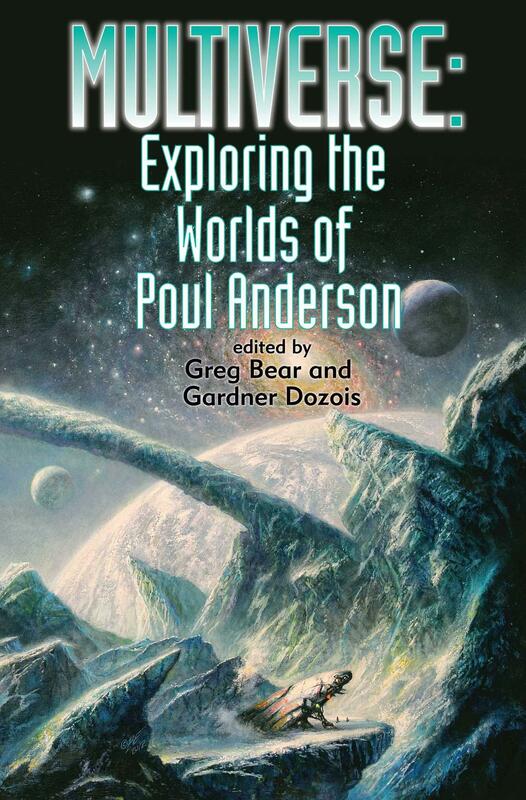 It goes on sale from Razorbill on June 23. 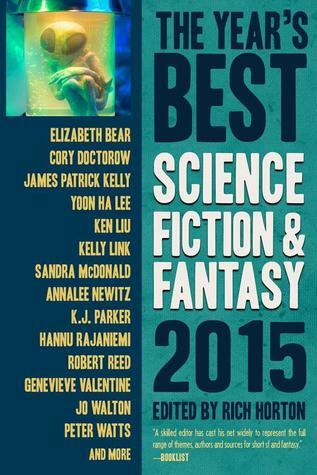 Next up is my favorite of the Year’s Best volumes, Rich Horton’s The Year’s Best Science Fiction & Fantasy 2015 — and considering the fact that there are over a dozen on the horizon, that’s saying a lot. But Rich has shown an uncanny sense not just for finding great stories, but also for showcasing the really singular creators doing fabulous work at short length. We showed you the complete table of contents of this huge 576-page anthology in April; the book finally goes on sale on June 16 from Prime, and I can’t wait. The industry suffered a terrible loss with the death of Tanith Lee on May 24th. But she left behind an astonishing body of work, and DAW Books had already begun the work of reprinting some of her finest novels in handsome new editions. 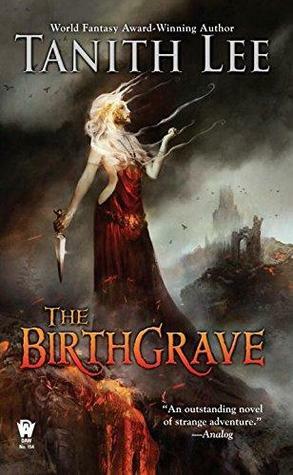 The Birthgrave (1975), Lee’s first novel and the first book in trilogy, was published in paperback on June 2 (464 pages, $7.99). You can read Part I and II in their entirety at Amazon.com. 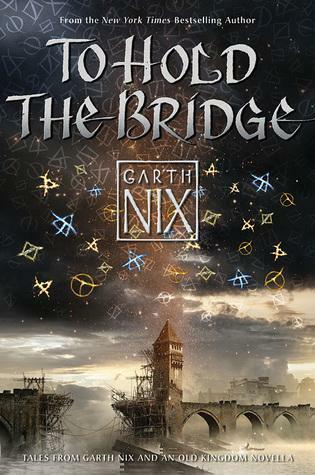 To Hold the Bridge is a short-story collection from one of my favorite YA writers, Garth Nix. It includes an Old Kingdom novella, a short story set in the world as Shade’s Children, and a tale set in the world of A Confusion of Princes. It was published in hardcover by HarperCollins on June 9, 2015. Stephen King needs no introduction… but he does need an entire publicity department to keep up with his latest projects. 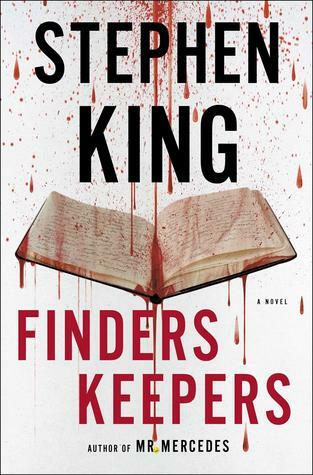 His newest release is Finders Keepers, about a reader whose obsession with a reclusive writer goes way over the edge. It was published by Scribner on June 2, 2015. And if you’ve been waiting for a nice, slender novel from Mr. King, this one — at a trim 448 pages — might be the closest you’ll get for a while. Beneath London is the sixth Langdon St. Ives novel from James P. Blaylock, in which the collapse of the Victoria Embankment uncovers a passage to an unknown realm beneath the city. St. Ives sets out to explore it, not knowing that a brilliant and wealthy psychopathic murderer is working to keep the underworld’s secrets hidden for reasons of his own… The previous St. Ives novels, including Homunculus (1986), Lord Kelvin’s Machine (1992), and The Aylesford Skull (2013), have won Blaylock a dedicated readership. Beneath London was published by Titan Books on June 9, 2015. 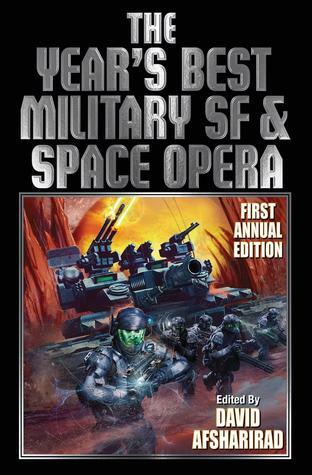 I may already have my favorites among the Year’s Best anthologies, but that doesn’t mean I’m not keenly interested in the new volumes being launched this year — including David Afsharirad’s The Year’s Best Military SF and Space Opera, which includes stories by Linda Nagata, David D. Levine, Brad R. Torgersen, Charlie Jane Anders, Matthew Johnson, Michael Z. Williamson, Holly Black — and Black Gate‘s own Derek Künsken. It was published by Baen Books on June 2, 2015. 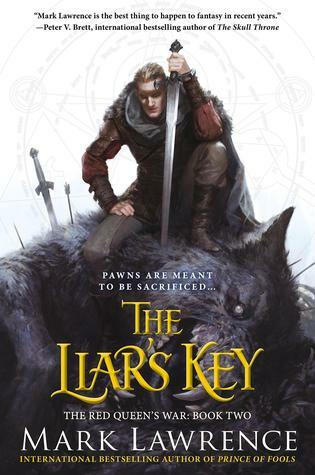 Mark Lawrence’s The Liar’s Key is the latest volume in his new fantasy series The Red Queen’s War. The first, Prince of Fools, was released in June 2013, and was set in the same world as his previous trilogy The Broken Empire (Prince of Thorns, King of Thorns, and the 2014 David Gemmell Legend Award winner Emperor of Thorns). 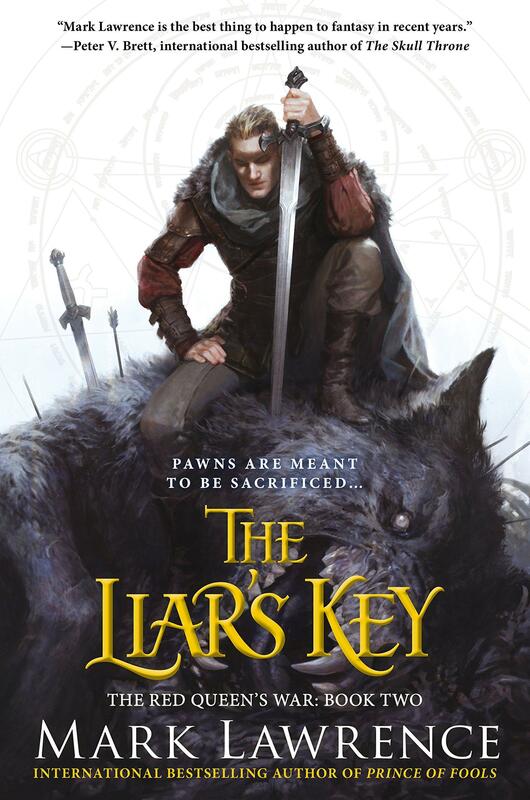 The Liar’s Key was published by Ace Books on June 2, 2015. And how about Cynthia Shepard’s eye-catching cover for The Iron Assassin by Ed Greenwood? 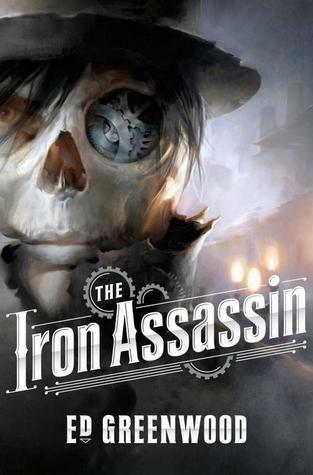 Ed’s newest novel is a steampunk thriller set in London, featuring loyal agents of the crown, the Ancient Order of the Tentacles, and a clockwork-enhanced corpse sent to assassinate the Prince Regent. 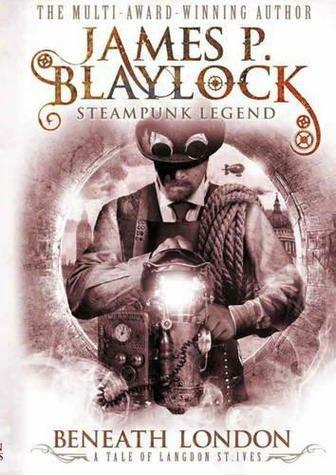 It was published by Tor Books on June 9. 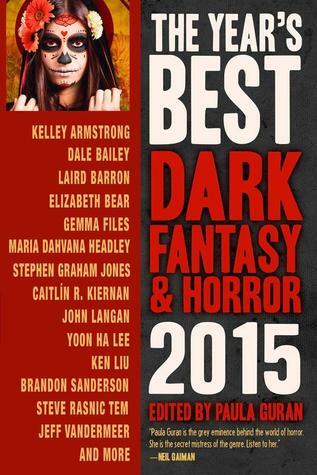 I came late to Paula Guran’s The Year’s Best Dark Fantasy & Horror volumes, but once I discovered them, I caught up fast. The 2015 edition includes fiction from Laird Barron, Dale Bailey, Gemma Files, John Langan, Helen Marshall, Brandon Sanderson, Simon Strantzas, Jeff VanderMeer, and Ken Liu; we published the complete table of contents here. It was published by Prime Books on June 24, 2015. It is 576 pages, priced at $19.95 in paperback, and $6.99 for the digital edition. The first volume in Elizabeth Haydon’s long-running fantasy series The Symphony of Ages, Rhapsody, was published by Tor Books way back in September, 1999. It was an immediate hit; Publishers Weekly called it “One of the finest high fantasy debuts in years,” and the series quickly became a bestseller. 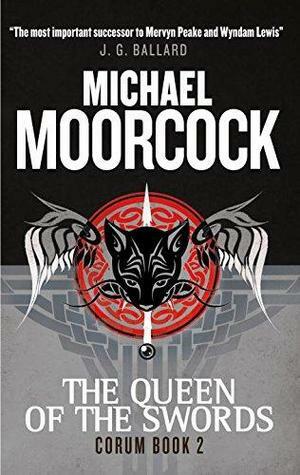 Over the next 15 years she’s published seven more in the series, most recently The Merchant Emperor last June, and this month Tor releases the eighth installment. The Hollow Queen will be published by Tor Books on June 30, 2015. It is 415 pages, priced at $25.99 in hardcover and $12.99 for the digital edition. John R. Fultz’s first story for Black Gate was “Oblivion is the Sweetest Wine” (BG 12), a full-throttle sword-and-sorcery adventure of spider-haunted towers and a fearless thief who comes face-to-face with a terrifying secret. We published three more tales in his popular Zang Cycle: “Return of the Quill” (BG 13), “The Vintages of Dream” (BG 15), and “When the Glimmer Faire Came to the City of the Lonely Eye.” For his fourth novel, John moves in a totally new direction, with a tribal fantasy set in a beautiful and savage land. We published an exclusive preview of Chapter 1 on May 21st, and John treated us to a few of the things critics are saying about the book earlier this week. 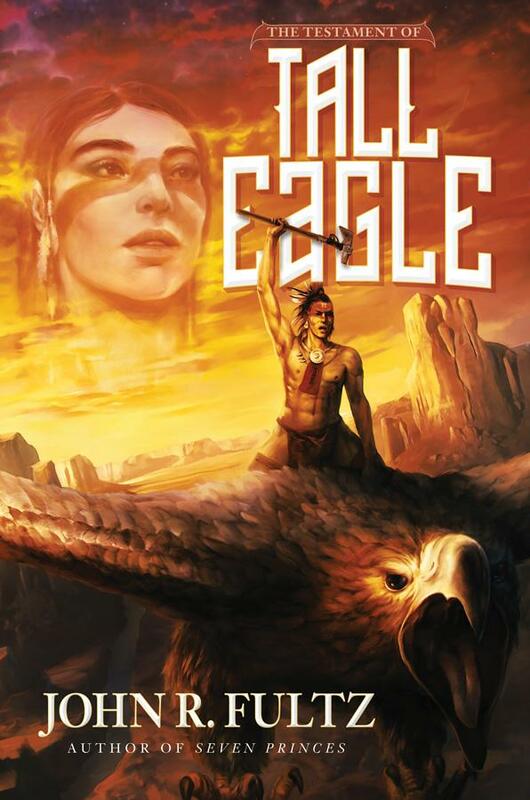 The Testament of Tall Eagle was published by Ragnarok Publications on June 8, 2015. It is 400 pages and available in digital format for $4.99. Learn more at Ragnarok Publications. 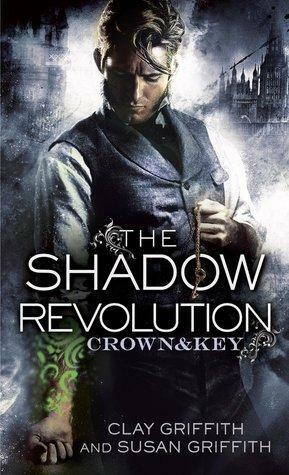 I bought every one of the Vampire Empire novels by Clay and Susan Griffith, and was delighted to see that the husband-and-wife writing team has launched a brand new Victorian-era urban fantasy series: The Shadow Revolution. The first volume, Crown & Key, features werewolves, spell-casting scribes, alchemists, and a team of determined monster-hunters. It was released as a mass market paperback by Del Rey on June 2, 2015. I received a copy of The Knight of the Swords, the first installment in Titan Books’ ambitious re-release of The Chronicles of Corum, back in May, and I was very pleased to see one of the Michael Moorcock’s most acclaimed series returned to print. 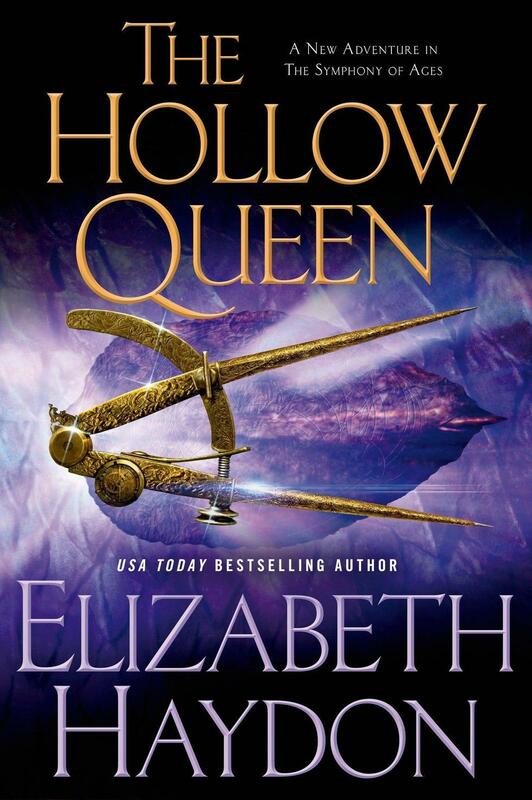 Titan is releasing a volume every month for the next five months, and the second, The Queen of the Swords, was published on June 2. It is 240 pages, and $9.95 in trade paperback. I’m the kind of guy who frequently likes to wait until a series is complete (or, y’know, mostly complete) before I commit. So I was very pleased to see the third volume in Charlie N. Holmberg’s The Paper Magician fantasy series was released this month. 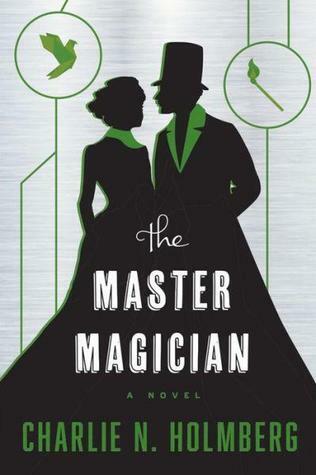 I’ve heard good things about her (yes, Charlie is a her) debut novel, The Paper Magician (September 2014); it was followed by The Glass Magician (November 2014), and the arrival of The Master Magician means I can find out for myself. The Master Magician was published by 47North on June 2, 2015. It is 224 pages, and $14.95 in trade paperback. 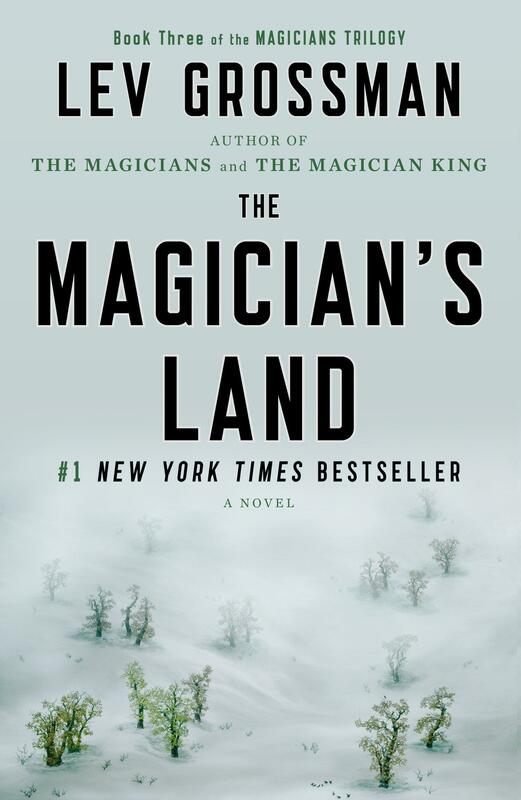 Lev Grossman’s Magicians Trilogy is one of the true success stories of modem fantasy. All three novels in the series have been New York Times bestsellers. 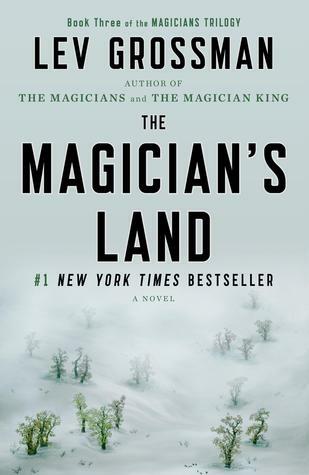 The third volume, The Magician’s Land, was released in hardcover in August of last year; it arrived in trade paperback from Plume on June 9, 2015. 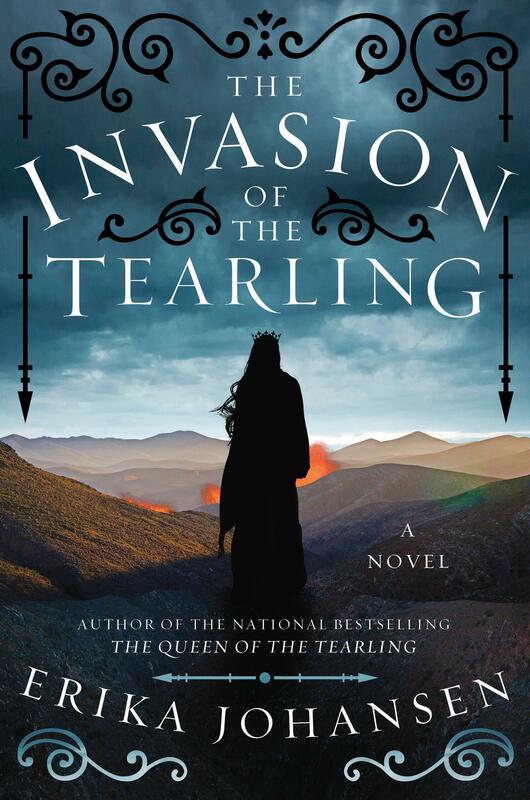 Erika Johansen’s first novel, The Queen of the Tearling, was published in hardcover in July of last year. The sequel, The Invasion of the Tearling, was published by Harper on Jun 9, 2015. It is 528 pages, priced at $24.99 in hardcover. 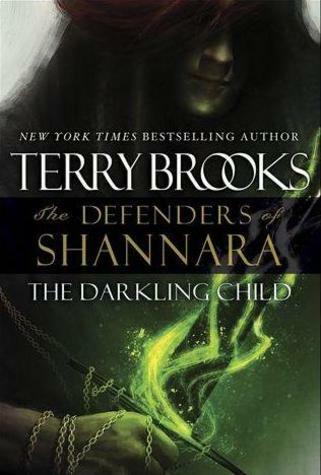 Terry Brooks is one of the top selling authors in the history of fantasy, and every new novel in his famed Shannara series is an event. The Defenders of Shannara, Book 2: The Darkling Child, a rare stand-alone novel, was published by Del Rey on June 9, 2015. It is 320 pages, priced at $29 in hardcover. I met Beth Cato at the World Fantasy Convention last November, and she was charming and very entertaining. I think it’s a good bet her book will be the same. 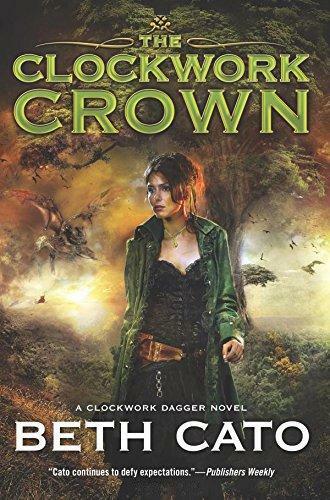 The Clockwork Crown, the second volume in the Clockwork Dagger series, was published by Harper Voyager on June 9, 2015. It is 384 pages in paperback, priced at $14.99. In Lucy Saxon’s Take Back the Skies (Bloomsbury, June 2014), Cat Hunter ran away from her homeland Tellus to escape an arranged marriage, disguised herself as a boy, and stowed away on a a smugglers’ air ship. 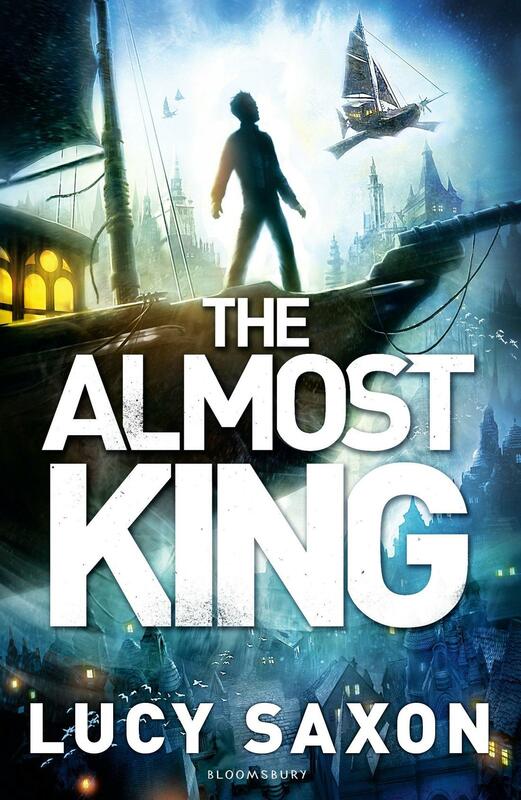 The Almost King is set in the same world, but features a new hero — Aleks Vasin, a boy who enlists in the army, only to discover his garrison is full of liars and thieves, a commander who steals his money, and a captain whose only goal is power. After a brutal beating, he escapes into the night, and begins an adventure unlike anything he’d ever expected. The Almost King was published by Bloomsbury on June 4, 2015. It is 416 pages, priced at $9.99 for the digital edition. 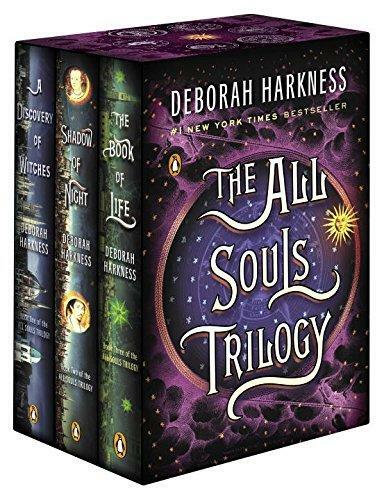 Deborah Harkness’ All Souls Trilogy (A Discovery of Witches, Shadow of Night, and The Book of Life,) was originally published between 2011 and 2014, and it became a New York Times bestseller. It’s on this list because Penguin Books has re-released the trilogy in a beautiful box set on May 26th and, dang. I really want it. I mean, just look at it. You know it would look great on your shelf. It’s a whopping 1,760 pages, priced at $51 in paperback (with a cool box). We told you all about Jon Sprunk’s Storm and Steel, the long-awaited sequel to Blood and Iron — which Sarah Avery said “takes the prize for strange worldbuilding… full of powerful imagery and a vivid sense of place,” last month. But it’s definitely worth a reminder. 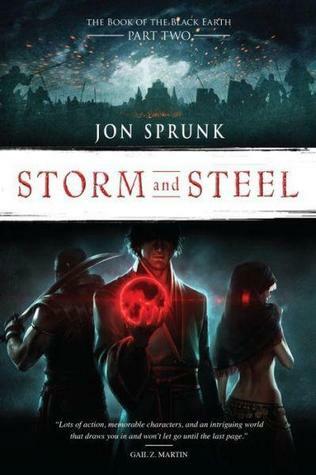 Storm and Steel was published by Pyr on June 2, 2015. It is 479 pages, priced at $18 in trade paperback and $11.99 for the digital edition. Read our exclusive excerpt of the first novel here. Martha Wells’s Books of the Raksura trilogy — The Cloud Roads, The Serpent Sea, and The Siren Depths — have captivated readers around the world. In Stories of the Raksura: Volume One: The Falling World & The Tale of Indigo and Cloud (details here), she returned to the world of Raksura with a pair of exciting novellas. 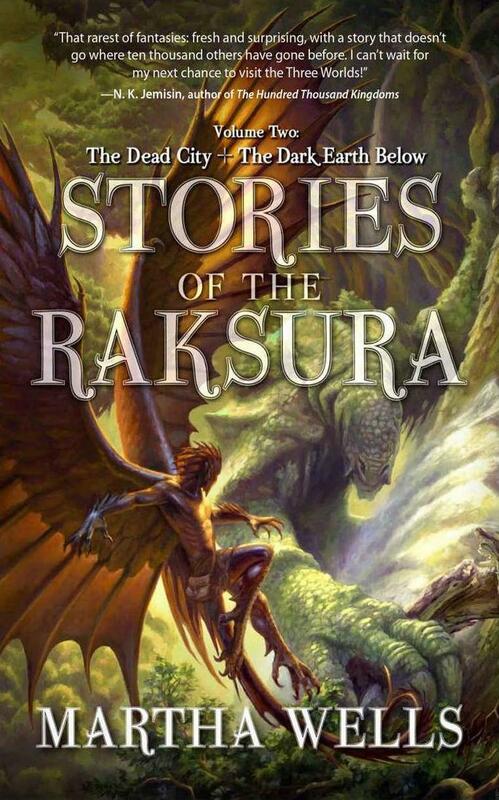 The second volume, Stories of the Raksura: The Dead City & The Dark Earth Below, she presents two more powerful novellas in the same setting. It was published by Night Shade Books on June 2, 2015. It is 232 pages, priced at $15.99 in trade paperback. 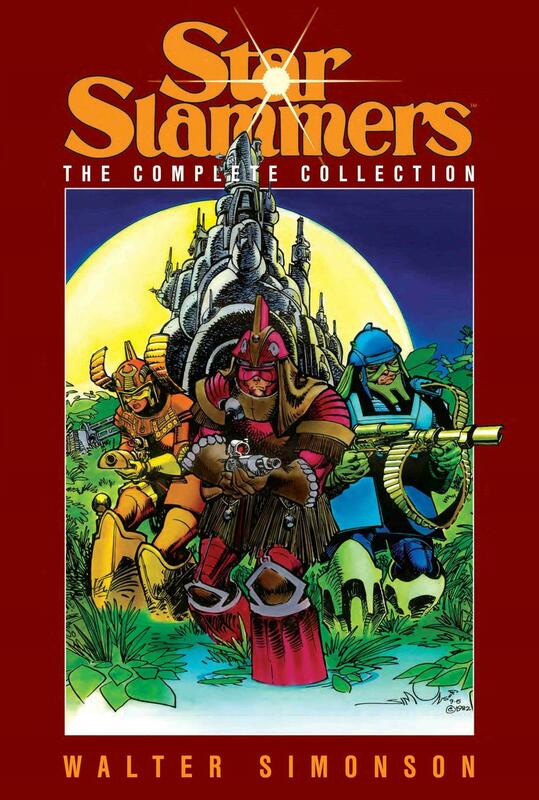 Walt Simonson is justly famous for his work on Thor, Batman, Avengers, Star Wars, and many other comic properties. But before all that fame and glory, he created a tale of a group of interstellar mercenaries who were the very best at what they did. Star Slammers: The Complete Collection gathers all those early tales, including the Marvel graphic novel and the miniseries. It was published by IDW on June 3. It is 300 pages, priced at $49.99 in hardcover, and $15.99 for the digital edition. 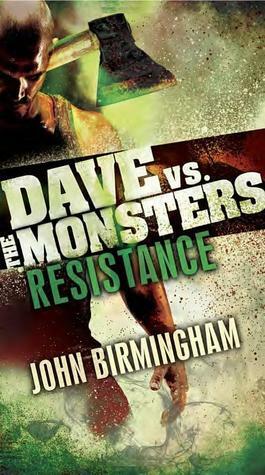 John Birmingham is widely known for his military thrillers like Weapons of Choice and Angels of Vengeance. His new series is urban fantasy, and features a tough, bleakly funny, down-on-his luck oil rig worker with an unlikely destiny as a monster-slayer and savior of the planet. The entire trilogy is being released in just under two months: Dave vs. the Monsters: Emergence on April 28, Dave vs. the Monsters: Resistance on June 2, and Dave vs. the Monsters: Ascendance on June 30. All are being published in paperback by Del Rey, priced at $9.99. We told you a little about the Pathfinder Tales book Lord of Runes by Dave Gross on May 26. The book sees the return of the Sherlockian aristocrat and Pathfinder Varian Jeggare and his hellspawn bodyguard and sidekick, Radovan, for their fifth standalone adventure. When Varian is bequeathed a dangerous magical book by an old colleague, he and Radovan are pulled into a mystery and set on the path of a powerful necromancer seeking to become the new avatar of an ancient and sinister demigod — one of the legendary Runelords. But in saving the world, will Varian and Radovan lose their souls? 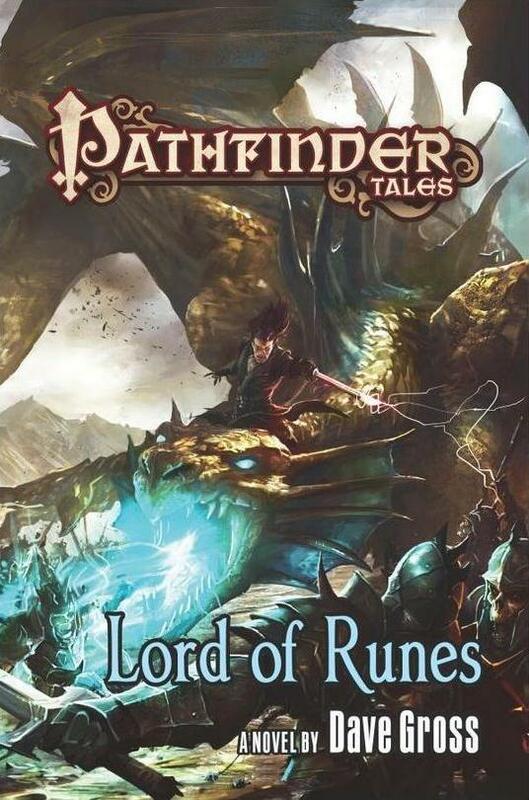 Lord of Runes was published by Tor Books on June 2. 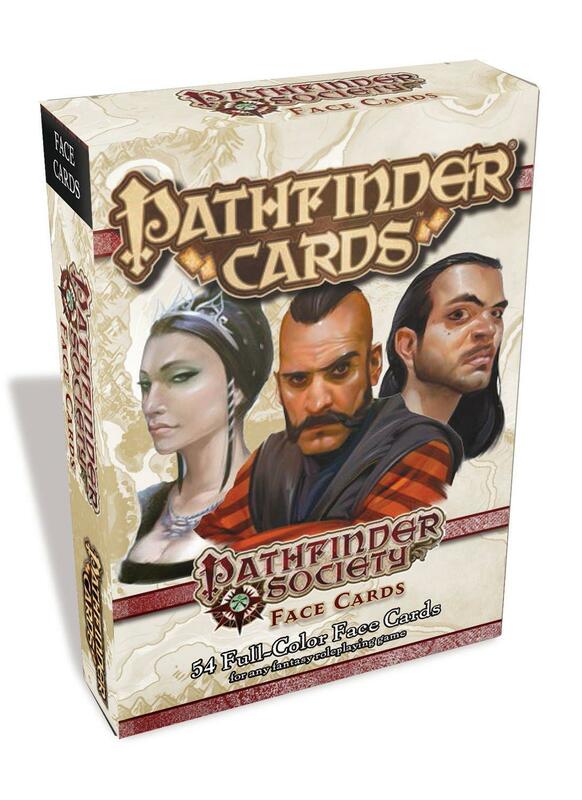 Speaking of Pathfinder, the newest deck of Pathfinder Cards, the Pathfinder Society Face Cards Deck, was published on June 9th. It follows the Tech Deck Item Cards (released in February) and the Iconic Equipment 2 deck (released in May). The Pathfinder Society is one of Golarion’s most famous organizations, with adventurous agents scouring the world for the secrets of the past and new discoveries. Pathfinder Face Cards: Pathfinder Society presents 55 portraits of prominent Pathfinders, leaders, and allies of the Society, perfect for use in Pathfinder Society Organized Play games or any other campaign. It was published by Paizo on June 9, 2015, priced at $10.99. 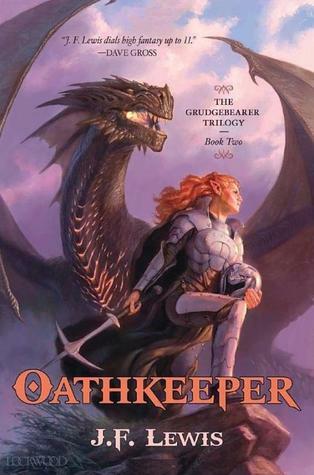 Oathkeeper, the second novel in J.F. Lewis’s Grudgebearer Trilogy, will be published in early June by Pyr. It’s an intriguing series that features carnivorous elves, sentient armor, plant people, a newly ascended god, and much more. As Dave Gross puts it, “J.F. Lewis dials high fantasy up to 11.” Oathkeeper was published by Pyr Books on June 9, 2015. It is 381 pages, priced at $18 in trade paperback and $11.99 for the digital edition. I’m a big Poul Anderson fan, and I was deeply covetous of the deluxe hardcover edition of Multiverse: Exploring Poul Anderson’s Worlds released by Subterranean Press in April 2014. Now Bean has released a trade paperback edition, published on June 2. It is 400 pages, priced at $15 in trade paperback. As the story opens, our three Greatcoat heroes need to get out of town fast, so they take a job guarding a mysterious lady’s caravan, hoping her freedom to travel will protect them. And it does, sort of, until she leads them to Rijou, the most lawless, most ruthless, most corrupt city in all of Tristia. Knight’s Shadow was published on June 2 by Quercus and Jo Fletcher Books. It is 580 pages, priced at $26.99 in hardcover, and $12.99 for the digital edition. That wraps it up for the upcoming fantasy releases that have grabbed our attention for June. Be sure to check back here a few times a week as we report on the most intriguing New Treasures. See our report on May Fantasy Releases here, and all our Future Treasures here. Still waiting for my review copy of The Liar’s Key to arrive – if it’s not in the box today, I’ll have to break down and buy a copy. Knight’s Shadow was amazing, an early contender for book-of-the-year for me. One glaring omission is Beyond Redemption by Michael R. Fletcher. It lands on Tuesday and is, by far, one of the most wildly imaginative fantasies I’ve come across in ages. Think grimdark, but in a world defined by madness and delusion. Brilliant stuff. > One glaring omission is Beyond Redemption by Michael R. Fletcher. It lands on Tuesday and is, by far, one of the most wildly imaginative fantasies I’ve come across in ages. Thanks for the rec! I came across it as I was prepping this article, but didn’t know anything about it. I will rectify that immediately. I concur with BeatyInRuins: Knight’s Shadow is my favorite book of 2015 so far, and it’s hard to imagine anything else topping it. When I reviewed Traitor’s Blade, I thought it was too soon to determine whether the book was a classic. Now I think the only way the whole series could fall short of being a classic is if the author actually meets his end before finishing the fourth planned volume. I’m really looking forward to writing the review. The Deborah Harkness books are beautifully packaged. Alas, I have yet to hear a kind word about them from anyone who reads fantasy. Most of the praise I’ve come across is from non-fantasy readers who see standard fantasy elements handled competently and think it’s all terribly original because it’s unfamiliar to them. Admittedly, I haven’t read these books, but the excerpts I’ve seen suggest this might be one case in which your notorious shrink-wrap issue is an advantage. I’m glad to see Sprunk’s book is out. There’s one I’d particularly like to take a crack at reviewing. I’ve noticed that my review roster has had a definite skew toward male authors this year. I should fix that. Which looks most Avery-ish to you: Cato, Saxon, Johanson, or Holmberg? I don’t usually backtrack to a series’s debut volume once the later volumes show up, but I’d make an exception for any recommendation from you. 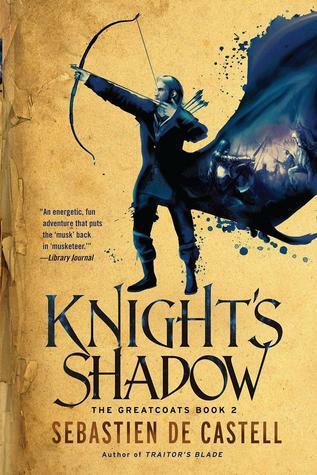 > Knight’s Shadow is my favorite book of 2015 so far, and it’s hard to imagine anything else topping it. So glad to hear that, Sarah. Looking forward to the review! > this might be one case in which your notorious shrink-wrap issue is an advantage. Please. I don’t view it as an “issue.” I see myself as “differently enabled.” From those who are actually able to open shrinkwrap. > Which looks most Avery-ish to you: Cato, Saxon, Johanson, or Holmberg? I would say the Holmberg. I might say the Johanson, but the first volume has become quite collectible in hardcover, and I can’t even get my hands on one. My public library’s got the first volume of the Johanson, but none of the earlier Holmberg books. Tearling Queen, here I come.